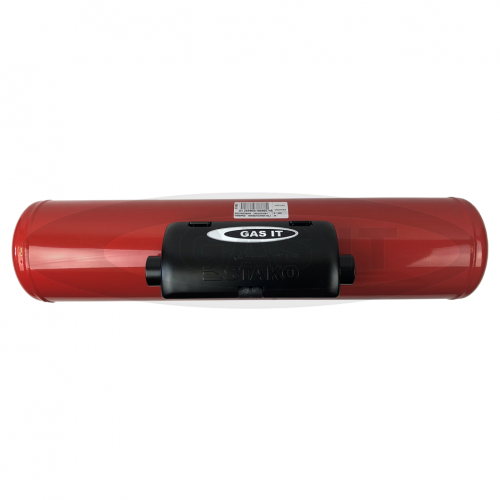 GAS IT 20 ltr x 200mm gas tank for motorhomes - GAS IT Leisure Gas Bottles, Gas Cylincers and Gas Tanks - Catering, Motorhome, Campervan, Caravan, Farrier and Road Repair Refillable Gas Solutions. 20 ltr GAS IT Vapour tank. This Tanks come fully valved with the protective aluminium air box and is 200mm x 717mm in size ( not including the air box ). These GAS IT refillable Tanks are the quality 4 hole type as fitted by many Manufactuers around the UK and Europe. Our GAS IT Manual Tap Option Tanks, like this one, does not need any electrics to operate it as its manual and closes by hand as you would a gas bottle, but unlike a traditional gas bottle, our Manual Tap's as fitted to all GAS IT Manual tanks ever sold comes with a built in Automatic Excess Flow Valve (EFV ) which shuts off the gas in a controlled manor should there be an uncontrolled release of gas from the outlet tap. That's why GAS IT tanks with Manual Outlet Tap are still the best selling refillable gas tanks fitted as its simple, uses no electric and has this EFV built in safety feature. It is fitted with a 21.8LH outlet thread on the manual tap so you need to fit a stainless steel pigtail of 21.8LH to W20 type to remotely mount your regualtor above the liquid level in the tank. This listing is the 20 ltr tank and pre-installed valves & airbox only. You will need to buy other parts which are all available on our webshop to complete the install e.g. fill point, brackets, hoses, electronics and so on.